EX-3 is a one-component finish easy to apply. It gives an excellent resistance to wood floors all-around the house. 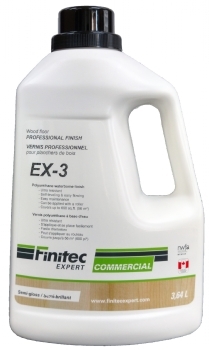 EX-3 is a finish that has proven itself in the industry.